Is Rosh Hashanah really early this year? 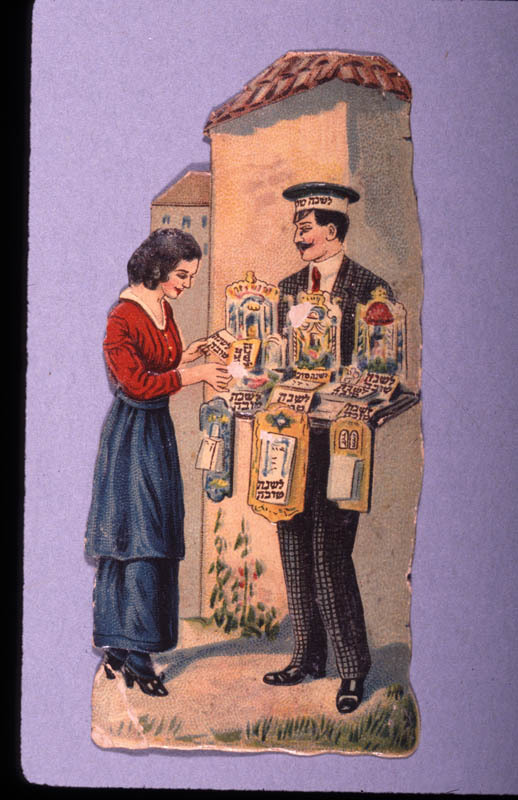 From the collection of the Center of Jewish History via the JTA. Police briefings. The NYPD (Tuesday, August 27, 2013) and Nassau County Police (Wednesday, August 28th) will host briefings for the Jewish community. Both departments will brief the community on their assessments of the security environment. The meetings are also an important opportunity for community and police leaders to meet and shmooze. Click here for more information and to RSVP to either of the meetings. Review the ADL’s Security Recommendations for the High Holidays. Check out the JCRC-NY’s presentations on High Holiday access control and preparing for the unexpected. Houses of Worship and the High Holidays (PDF excerpt from Emergency Planning: Disaster and Crisis Response Systems for Jewish Organizations) The High Holidays are a special challenge for synagogues. Find tips for security and emergency planning here. Police briefings. The NYPD and Nassau County Police will host briefings for the Jewish community. Both departments will brief the community on their assessments of the security environment. The meetings are also an important opportunity for community and police leaders to meet and shmooze. The NYPD High Holiday Security Briefing with Police Commissioner Raymond W. Kelly is scheduled for Tuesday, August 27, 2013 at 11 AM (refreshments will be available at 10 AM) at One Police Plaza. RSVP’s are required. Email your reservation to Sgt. Richard Taylor in the Office of the Chief of Community Affairs by clicking here. Note time change: The Nassau County Police Department’s briefing with Police Commissioner Thomas Dale is scheduled for Wednesday, August 28th at 2 PM in the Donald F. Kane Auditorium of Police Headquarters, 1490 Franklin Avenue, Mineola. Email your reservation by clicking here.